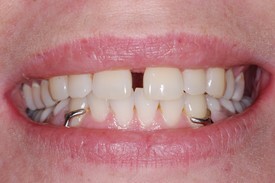 Before: Patient had two upper left front teeth removed for future placement of implant. 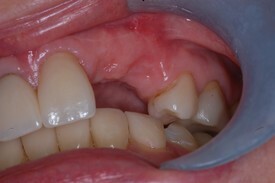 After: Upper Temporary (Flipper) Partial was made to maintain function (chewing, talking), support the lip and allow the patient the comfort of a beautiful smile. 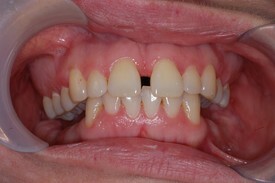 Before: Patient is missing lower molar teeth on both sides. 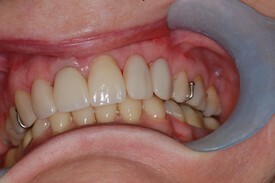 After: Replaced teeth with a removable lower partial that will help improve chewing function and smile. A lower partial will also prevent the upper teeth from drifting down into the space that was occupied by the lower teeth.